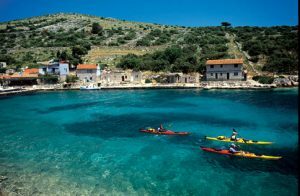 Croatia, the most westerly coastal state of the former Yugoslavia, has a spectacular landscape, with more than 1,100 islands set in deep azure waters perfect for diving and sailing. Only 67 of the islands, which stretch along nearly 6,000 kilometres of coastline, are inhabited. The country has a rich cultural heritage. The old town of Split, for example, is a mixture of Venetian architecture and Roman remains, including the palace of the Roman emperor, Diocletian, who was born just a couple of miles away in Salona. 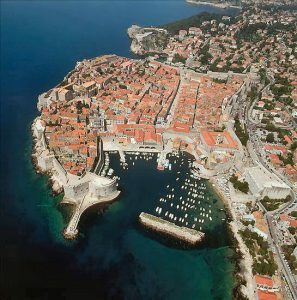 With a fantastic climate – the Adriatic is one of the sunniest and warmest coasts in Europe with an average of 2,600 hours of sunshine per year and an average summer temperature of 27 degrees Celsius – and attractive property prices, Croatia looks an increasingly good bet for a holiday home or an investment property. The country is investing heavily in building up its tourist industry, aiming to reclaim the impressive visitor numbers attained before the Balkan war of the early 1990s. It is also looking to join the EU in 2006 or 1007. Croatia has long been regarded as one of the most beautiful parts of Europe, and with good reason, its stunning stretch of Adriatic coast, the islands of the Dalmatian coast and the picturesque towns combine to make it the perfect destination for holidays and, increasingly, second-home owners. The war led to a steep decline in property prices too, but these have now recovered and property is no longer the snip that it was several years ago. However, excellent opportunities do exist and prices remain comparatively low. Other plus factors are the new £1.76 billion motorway that opened in 2005 and new budget airlines entering the market. The 380 kilometre Zagreb-Split motorway connects the north and south of Croatia and reduces journey time from a complicated seven hours to a direct three and half hour drive. It means that anyone planning to tour Croatia by car can now very easily combine a trip to Zagreb, the Croatian interior and the Adriatic coastal resorts and islands.